Recipient of BHARAT VIDYA SIROMANI AWARD conferred by International Institute of Education and Management, New Delhi, on 18th December, 2015, for outstanding achievements in education. Principal Investigator of the Minor Project Titled “Financial Obstacles of MSME Survival: A Case of Selected Units of Gandhinagar District” Funded by Kadi Sarva Vishwavidyalaya, Gandhinagar amounting Rs. 19000 (continuing). Principal Investigator of the project titled, Kalupur Commercial Cooperative Bank, Gandhinagar (continuing). Western Zone Coordinator for Survey under the Sponsored Project titled “Development of Corporate Governance Norms” extended by Sponsor Research and Industrial Consultancy, IIT Kharagpur, March-July, 2009 (completed). National Seminar on “Contemporary Issues in Management and Co-operation: Prospects and Challenges”, National Institute of Co-operative Management, Gandhinagar, Gujarat, May 5, 2013. UGC sponsored National Seminar on “Emerging Issues in Competitive Business Environment”, I. V. Patel College of Commerce, Nadiad, Gujarat, October 6, 2012. UGC (CPE-Scheme) sponsored National Seminar on “Quality Research in Higher Education” organized by Uma Arts & Nathiba Commerce Mahila College, Gandhinagar, on 26th March, 2012. National Workshop on “Research Methodology” organized by Sardar Patel College of Administration and Management, S P University, Feb, 2012. National Conference on Recent Trends in Business, Management, IT & Business English organized by Smt. SI Patel Ipcowala College of Commerce, Petlad & Indian Commerce Association on Dec. 1, 2011. Indian Conference on Management (ICOM) on Innovative Strategies: Emerging India in Global Scenario organized by S. K. Patel Institute of & Computer Studies (MBA), Gandhinagar during March 11-12, 2011. National Seminar on “Contemporary Issues in Finance” organized by Gujarat Technological University during August 26-27, 2011. Life-time Member (a) Orissa Economic Association, Orissa, (b) Gujarat University Economics Area Teachers’ Association, Gujarat. 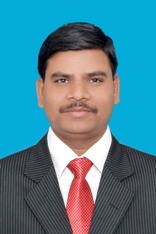 Coordinator, NAAC Steering Committee, B P College of Business Administration, Gandhinagar in 2006-07. The college was accredited with B+ grade. Deputy Superintendent of AIEEE Exams of Government of India (2008 and 2011) at S. K. Patel Institute Centre, Gandhinagar. 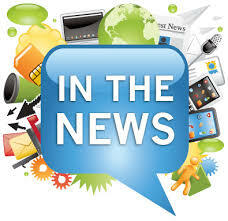 IIT, Kharagpur; IHM, Ahmedabad; NIFT, Gandhinagar; Science City, Ahmedabad; NIRMA University, Institute of Management; Mahatma Gandhi University, Kotayam (off campus at Gandhinagar); Sikkim Manipal University MBA Programme; Gujarat Technical University, Marwadi Education Foundation, Rajkot; I.C.W.A.I, Ahmedabad Chapter; C.S. Regional Chapter, Ahmedabad. Associate Editor, Journal of Humanities, Social Science and Management, Kadi Sarva Vishwavidyalaya, Gandhinagar, Gujarat. Life Member, Orissa Economic Association, Orissa. Life Member, Gujarat University Economics Area Teachers’ Association, Gujarat. 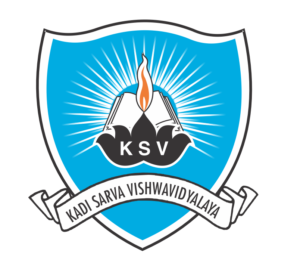 Member, Board of Studies, Kadi Sarva Vishwavidyalaya, Gandhinagar, Gujarat. Member, Editorial Board, Journal of Production, Research and Management (Special Issue). [ISSN 2249-4766]. “English Language Training Programme” under the aegis of SCOPE run by Government of Gujarat for Management Students at B. P. College of Business Administration, Gandhinagar from 10-09-2013 to 10-12-2013 (45 days). One-day workshop on “Recent Changes in the Indian Capital Market” jointly organized by the Institute of Company Secretaries and the National Stock Exchange of India at B. P. College of Business Administration, Gandhinagar on August 2, 2013.